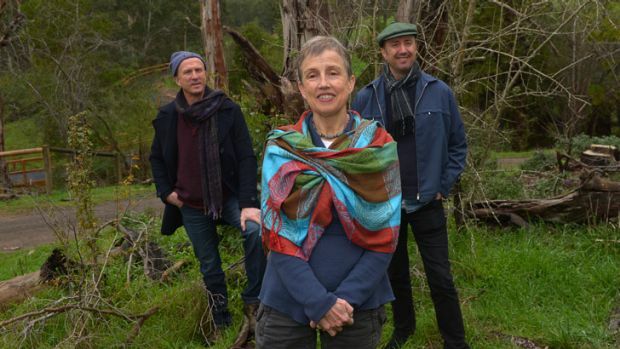 The developers of the Mullum Creek estate are Steve, Danny and Sue Mathews. Their parents, Bob and Rivkah Mathews, bought and moved to the property in 1958, and all three children grew up there. Here Steve Mathews describes the inspiration and philosophy behind the way the family is developing the land. There are many things we loved about growing up at Mullum Creek, with its gentle landscapes, streams, and rich variety of native trees and animals. Now that we are planning for the future of the site, we are eager to preserve as many of these features as possible and pass them on to the next generation of owners. More generally, growing up there has given us a strong belief in the importance of protecting and enhancing the natural environment which enriches our lives, and which provides us with so many of the things we need and use on a daily basis. We want to maintain our moderate and comfortable climate. We want to ensure our accces to an ongoing supply of energy, water and building materials, content in the knowledge that their production has not caused damage and destruction to other places and people. We want to continue to enjoy the beautiful landscapes which express the ancient forces that shaped them. We want to keep living side by side with the plants and animals that have occupied the land for millions of years before us, and we want to foster a sense of connection to nature and the landscapes in which we have chosen to locate our homes and raise our children. The objectives and requirements in the Mullum Creek Design Guidelines help secure these benefits for everyone. An integrated, holistic and comprehensive environmental vision sets Mullum Creek apart from similar developments. And whereas in the past value was placed on building large, imposing homes that conspicuously expressed status, Mullum Creek embodies new standards of design and aesthetics that value restraint, subdued elegance, and harmony with nature and the landscape. Mullum Creek values quality and economy of design over quantity and size of buildings, and promotes resource efficiency and environmental sensitivity. For these reasons the estate is attracting a lot of attention from design professionals, the development industry, government and the media. For purchasers, recognising and taking this vision on board, and building homes at Mullum Creek in line with these Guidelines, will help achieve a standard of excellence far above that of other developments, and create an estate that everyone can be proud of. We are confident that building in line with these Guidelines will give you a home that blends harmoniously with the natural environment of the Mullum Mullum Creek valley, and fits in seamlessly with the other homes in the estate. Your home will offer a much higher level of comfort, being warmer in winter and cooler in summer, as well as offering ongoing savings in energy and water costs, compared to a home built to lesser standards. Well-designed homes meeting these Guidelines will provide you the flexibility of design and layout that should allow you and your family to enjoy the home through all stages of life, from childhood to old age. The Mullum Creek team believes homes built to these standards will help maintain the value of your investment. To help you meet its design requirements, Mullum Creek provides a range of information services and advice to you free of charge. These include consultations with the experts on the Design Review Committee, as well as documents and guides to assist in design and construction of your home, and incentives offering consultations with architectural and landscape design specialists who are familiar with these Guidelines. These designers will support you and help you through the design review process set out in this document. Please make as much use of these resources as you can.